Andrew Ganz July 7, 2017 Comment Now! When you're slinking behind enemy lines, the last thing you want is to be detected. For the U.S. Army's Tank Automotive Research, Development and Engineering Center (TARDEC), the next step in military vehicle technology marks its location with only a hint of water dripping out of its tailpipe. The only sound you'll hear as it approaches is the crunch of the ground beneath its big mud tires. And its heat profile is almost invisible to infrared cameras. 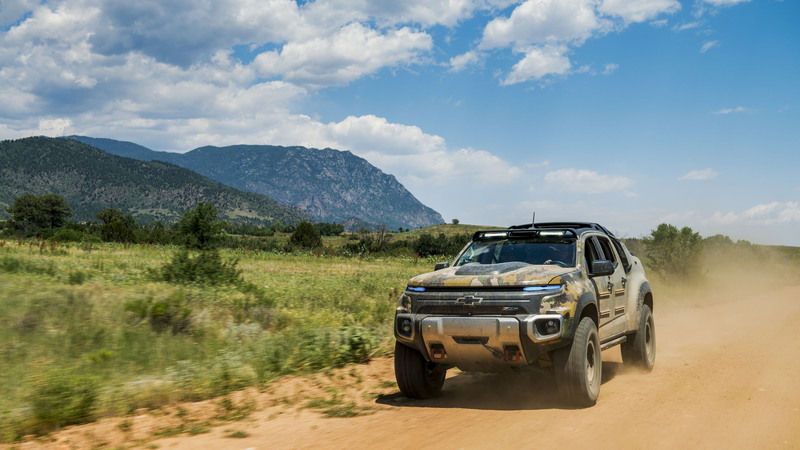 The Chevrolet Colorado ZH2 hydrogen fuel-cell electric truck is quite a departure from the rumbling diesel Humvees long emblematic of the Army. Behind the Chevrolet Colorado ZH2's showstand looks are a host of goodies that make it a highly capable off-roader for the armed forces. The one-off ZH2 is currently undergoing a year of Army evaluation at several bases spread across the U.S. We caught up with it at Fort Carson, near Colorado Springs, Colorado, where the foothills of the Rocky Mountains approximate the terrain in some of the world's most dangerous places. GM formally handed the Colorado ZH2 to TARDEC for a year-long evaluation beginning late last year. It may look like a concept, but its chunky looks hide a test-bed of technologies. Chief among them is the 170-horsepower electric motor that receives its juice from a hydrogen fuel cell. 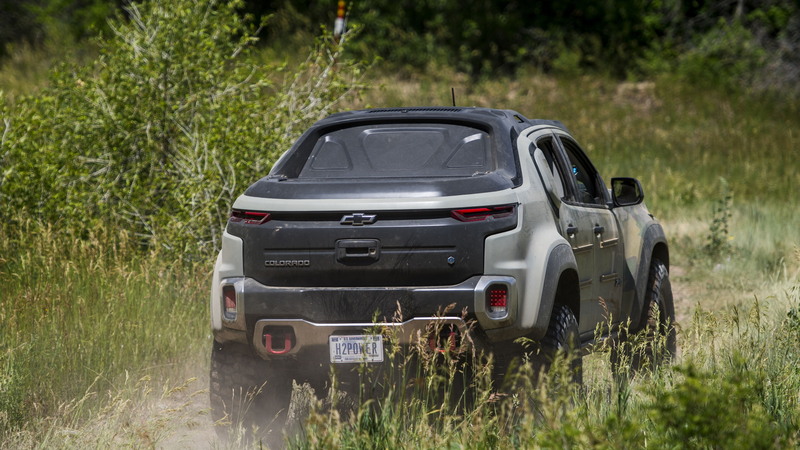 This test truck actually uses a Gen 0 (in GM-speak) fuel cell powertrain borrowed from GM's now-discontinued line of fuel cell Chevy Equinox crossovers. It's not the latest and greatest fuel cell setup, but it does serve as a good starting point for military testing in a variety of durability and feasibility situations that simulate everything from reconnaissance to combat. 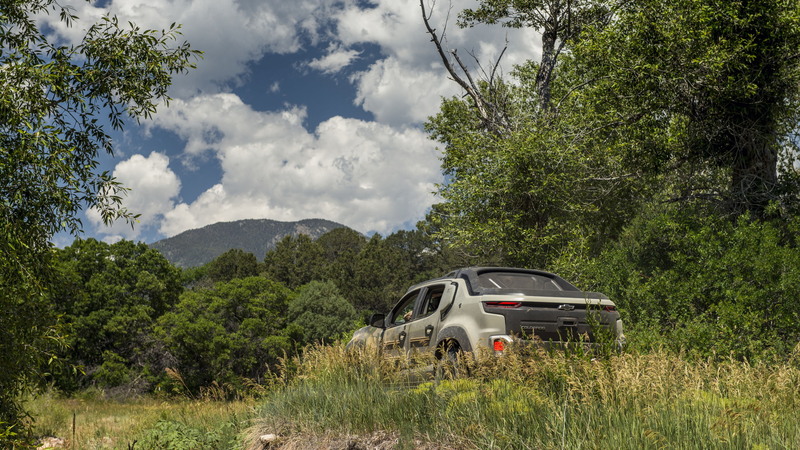 The hydrogen fuel cell also provides juice to a separate electric generator housed behind a top-hinged trunk where the standard Colorado's bed would be. An electric generator could eventually replace the loud, inefficient diesel generators the armed forces currently lug behind their Humvees to power their communications devices. Underneath, the ZH2 is basically an off-road ready Colorado ZR2 with a slightly lifted suspension, 37-inch BFGoodrich Mud-Terrain off-road rubber, beefier skid plates, and rocker panel-protecting tubular rails. It's mostly off-the-shelf stuff that makes an already capable four-wheeler more durable. 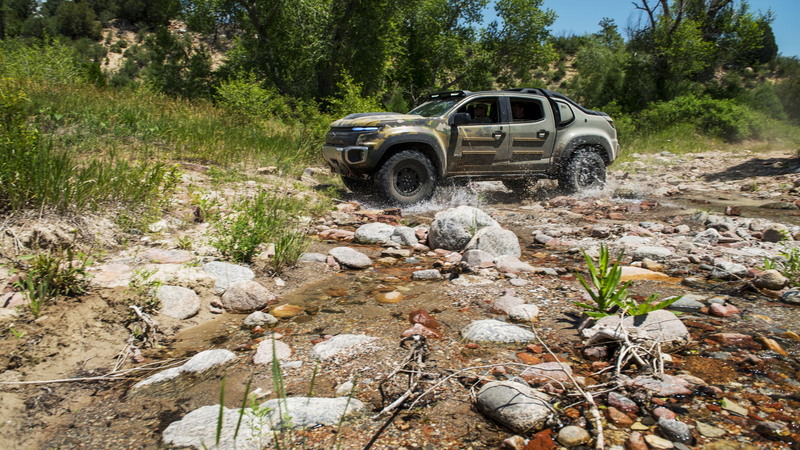 A production military vehicle with a fuel-cell powertrain isn't likely to look much like this Colorado, but army officials did tell us that the mid-size pickup's dimensions and inherent maneuverability are appealing advantages—if not unique to the ZH2. Instead, the test focuses mostly on the ZH2's instant torque electric motor and the range and reliability of its hydrogen fuel-cell. Getting hydrogen to Fort Carson is no easy task. At this base just outside Colorado Springs, the Army's closest filling station is the National Renewable Energy Laboratory’s (NREL) Wind Test Site near Golden—about 90 minutes away. The Army can extract hydrogen from the JP8 fuel it uses in most of its combustion engines, though doing so on the small scale required for the ZH2 test isn't feasible. At least the Army has seen up to 200 miles of range out of the ZH2, depending on the type of terrain it's driven through. Our brief ride-along on a sunny day didn't exactly test that range, but it did show off the ZH2's rapid acceleration. Its suspension soaks up boulders the size of Prius wheels reasonably well, softer than a Humvee but not nearly as plush as a Ford F-150 Raptor. 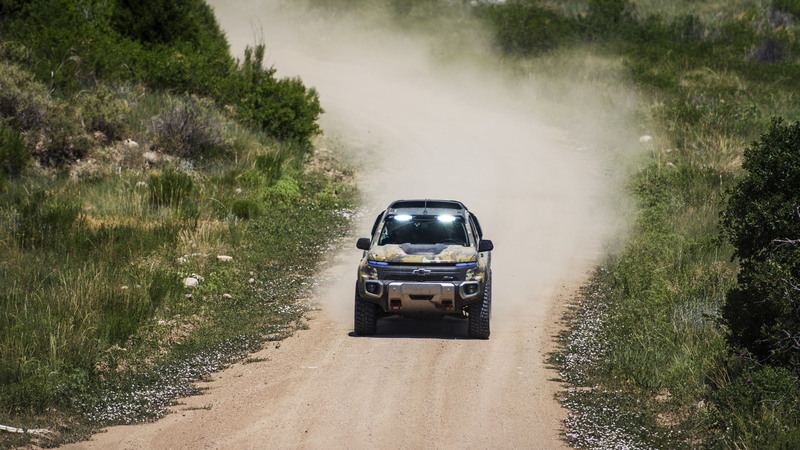 There's no noise other than gravel shifting below its big tires and rocks occasionally tapping its skid plates—a surreal experience on its own. Just how the armed forces are likely to use a hydrogen-fueled vehicle remains up for debate, though this test should help TARDEC gain a lot of insight. The inherent combustibility of hydrogen necessitates extra careful precautions for the ZH2's tank, which is designed to vent upward and outward in the event of a breach. True, that could limit its use in combat situations, but TARDEC suggested that electric motors fed by hydrogen fuel cells could make a lot of sense as generators capable of powering an entire remote location in silence. In some of the world's most dangerous places, silence may be the best weapon yet.